Skinner & T'witch are delighted that recently released 'Too Many Feet' has so far received airplay by 32+ folk/acoustic/roots radio show presenters on 50+ radio stations, internationally! 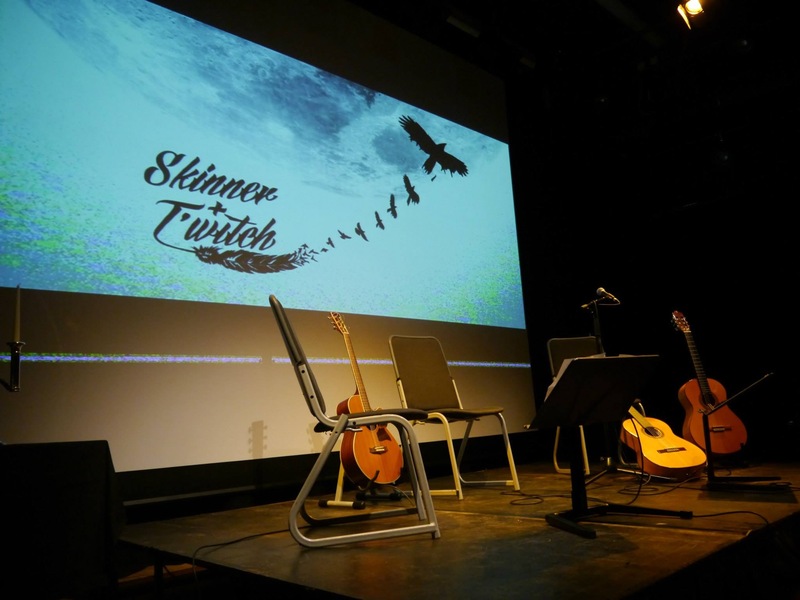 Skinner & T'witch had a great time playing at the Rhosneigr Live Music Festival, on the Isle of Anglesey, and being interviewed by Tony Wyn Jones of Mon FM in advance of the Festival! Skinner & T'witch are very much looking forward to opening the fundraising Rhosneigr Live Music Festival, along with the Holyhead & City of Bangor Male Voice Choir, at the Glan Neigr Hotel, Rhosneigr, Isle of Anglesey, on Friday, June 8th 2018!